Victoria Brewood is the kind of person who turns her dreams into reality. 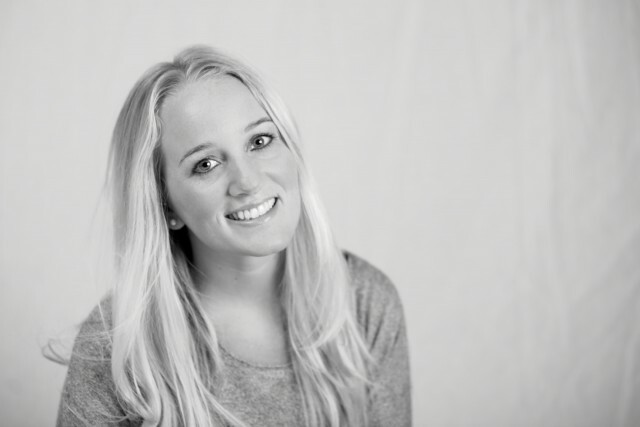 The English award winning travel blogger is enjoying her global lifestyle to the fullest and keeping her readers informed and entertained on www.pommietravels.com. Time for a little Q&A Session with this inspiring globetrotter! – Can you briefly introduce yourself and tell us a bit about your website www.pommietravels.com? Hi I’m Victoria- I’m from Manchester in the UK but I’ve been travel blogging and exploring the world since 2008. Pommie Travels is full of travel guides, money saving tips and destination advice for the places I’ve been to. It has a bit of a ‘solo female travel’ angle to it because most of the time I travel alone. – What are the best aspects of your job? The best aspect of my job is the freedom it gives me. I am able to work whenever I want, so I’m not stuck to 9 to 5 hours. Travel blogging allows me to see new places and meet all sorts of interesting people. – Of course the next question is… what are the worst aspects? The worst aspect of the job is the emails. I get hundreds per day and since I am only one person, it can take me all day just to get through them. I am expected to be online 24 hours a day, so sometimes it can be difficult to really appreciate a new destination when I have to be Tweeting, Instagramming and sharing things on Facebook. – What did you want to be or do when you were younger? When I was younger I changed my mind all the time, but I mainly wanted to be a singer or an actress. I loved performing, singing, playing the violin in the orchestra. I once made a plan in my diary to run away to London, join a stage school and get an agent! I fantasised about being an Astronaut for a while too. I loved Physics and I was obsessed with watching space documentaries. I studied Broadcast Journalism at University, but when I left I wasn’t really ready for a 9 to 5 job so I went travelling and the rest, as they say, is history. – You have travelled all over the world in the past couple of years… which country or place did you enjoy most, and why? That is such a tough question. I love them all. But my favourite place is Austin, Texas. It doesn’t sound that exotic but I just love the vibe there. I visited friends for a week and ended up staying over a month! In the summer you can go hiking in the Greenbelt and take a boat out on the lake, plus there are some really quirky bars and restaurants. 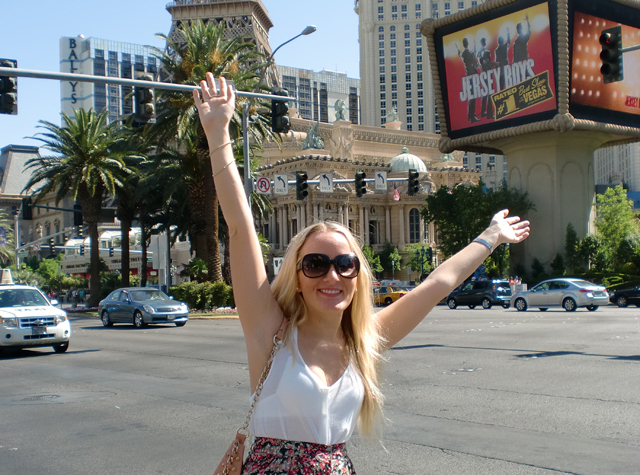 I also get really excited about Las Vegas- the bright lights, the pool parties, the shows! In Europe I’d have to say my favourite destination is Portugal and in Asia, I had so much fun in the Philippines. – What makes you prefer travelling solo over travelling with other people? I like being able to do what I want, when I want. I’ve travelled with friends and boyfriends before, but sometimes you find you start getting irritated by each other- particularly when trying to decide where to eat! I like the fact that I can make new friends and change my plans at the drop of a hat, without having to run it past anyone else. – Which characteristics/qualities should one have to be able to live the kind of life you live? I think you have to be self-disciplined and self-motivated. You have to be the kind of person who doesn’t need direction from somebody else. When living this kind of life and travelling all the time, you have to be able to say ‘no I can’t go to the beach today, I have to do some work’. I think it’s also important to be a sociable person- one who doesn’t mind being alone, but that can make conversation with new people. – Have you got any advice for young people, who would love to do what you do? Yes, I didn’t get here by luck or being in the right place at the right time. It’s through sheer hard work and effort over a long period of time. Don’t wait for the job to come to you. Set up a blog, create something unique and just do it! Marketing yourself through social media and networking with others is really the key to becoming a successful blogger. Categories: Dream Jobs, Interviews | Tags: blogger, pommie travels, travel, Victoria Brewood | Permalink.